« Educated Stay at Home Moms: An Oxymoron? My joy for today is my precious three year old. Our adorable Tucker turned three yesterday. With all the traffic on my blog from my last post, I decided to wait a day to tell the world about my beautiful boy. Anyone who started following me because they thought this was exclusively a political blog, feel free to click unfollow now. As I elaborated on in my last post, I am not just a stay at home mom, but I am primarily a stay at home mother and wife. My God and my children are the primary source of my daily joys. For those still with me, let me publicly wish my Tuck a happy third birthday. He is an incredibly smart, funny, caring boy. He is almost always happy and greets us every morning with a smile and a cheerful, “Good Morning” to each member of the family. He loves Star Wars, Mickey Mouse, Thomas the Train, Caillou, Woody and Buzz, dinosaurs and cars. He loves to play baseball, do puzzles, play outside, ride his tricycle, and look through books. He plays make believe with his big sister for hours, pretending to be at school, Disney World, the beach, the store, or the doctor. He loves to listen to music and is a very entertaining dancer. He enjoys doing “shows,” singing songs for a small audience, and impressing people with his ability to identify letters and numbers. Tuck spends a lot of time with my Granny. They are so much more than relatives, they are best friends. They have a great time together and when Tucker knows Granny is coming over, he always cheers. I am so thankful for this special bond for both of them. This post does not have any deep, controversial, or momentous meaning. It is a simple happy birthday wish for my precious boy. Tucker, I am so thankful for you and I love you tons little buddy. Thanks again to Spencer for the amazing picture. I can’t believe that our little Tucker is 3!!! Having two birthdays in 5 days really hits you that your kids are getting older way too fast! As I mentioned on your post about Noah, it seems like just yesterday that Tucker was the size of Amelia. You are absolutely right about him being sensitive, and in many ways, I hope he stays that way. 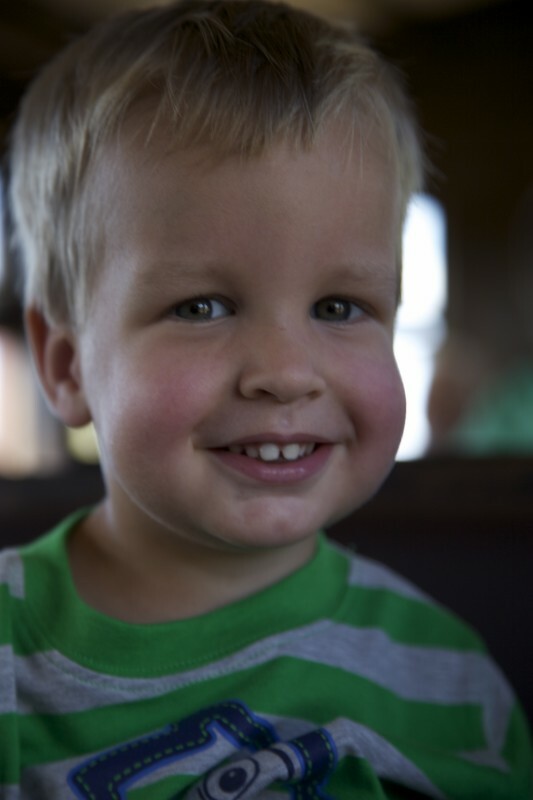 I’m biased, but I think he’s the cutest 3 year old in the world, and I’m sure Granny would agree! I agree, both about him being the cutest and that the time flies so quickly! Thank you for raising such a sweet boy with me! Love you! He is a great little boy Honey and that is also a great picture of him. I love how he always charges to greet Mom and me and gives us a big hug and kiss. Even if its only been a few hours since we’ve seen him he acts like its been forever! That’s true! He does always give enthusiastic greetings- especially to Nana and Pappy! Thanks for commenting Dad! Wow! Look at his cheeks! He’s been growing into a boy since I last saw him! Thank you! He is getting so big. You should hear him talk! Tucker is such a joy! It is amazing how happy and enthused with life he always seems to be. Wish that was something you could bottle! He is a loving, sweet little guy and I love him so, so very much! And he loves his Nana very, very much!